If you’re the kind of person who delights in the anguish of others, you might find your daily guffaw in this new Peeps campaign that features a lot of crying, moaning and shrieking. But the despair is fake. So it’s OK for everybody to laugh. The work, from New York ad agency Terri & Sandy, takes a page from Jimmy Kimmel’s annual Halloween prank where parents “confess” to scarfing their kids’ candy, much to the videotaped horror of their youngsters. Most of us can probably agree the results are both sadistic and hilarious. It’s only candy, after all. It’s just dessert, of course, but oh the melodrama. 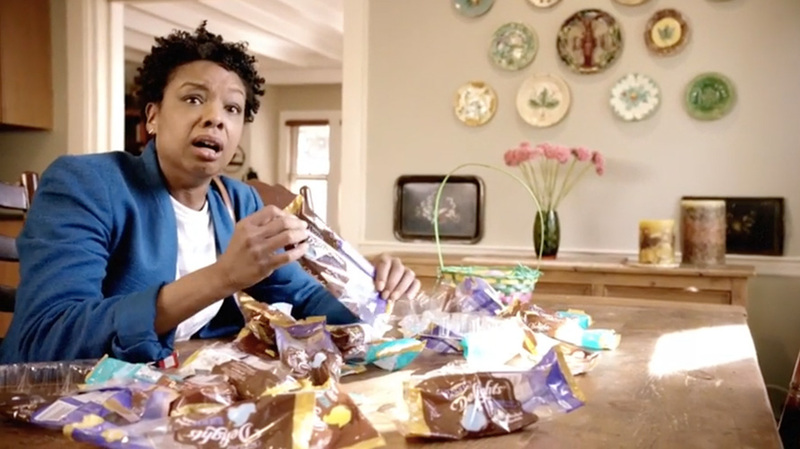 Shot to look like user-generated content, a 60-second spot shows parents losing their minds when confronted with empty wrappers, half-hearted apologies and iPhone-wielding offspring. “This is the worst Easter ever!” one shouts. Another hurls himself onto a bed and rolls up in a blanket, between sobbing and flailing his limbs. There are shouts, stomps, fits and so many tears. The campaign kicks off today and runs through Easter on April 16, with national television planned, along with heavy social and digital. Tagline: “Easter without Peeps Delights is a crying shame.” There will be copies of kids’ sorry-not-sorry notes on Facebook, the 60-second spot (plus cutdowns) on YouTube, and reaction GIFs. Kids, if you try this at home, be sure to record the moment.